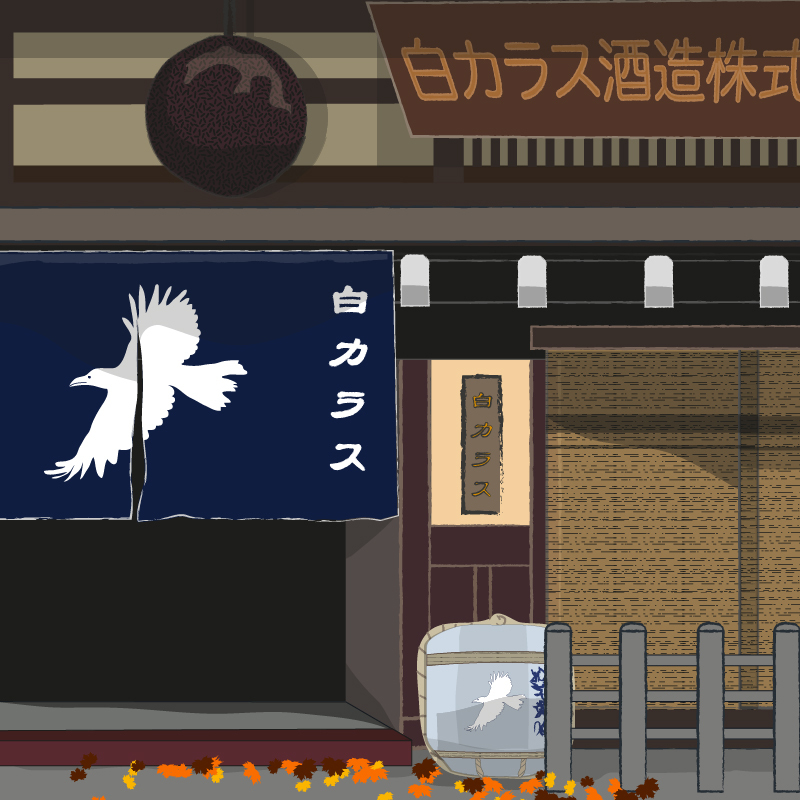 One day in late October, Boss Panda asked Kiku and Miko-chan if they would like to go with him to the White Crow Brewery whilst he checked on the preparations for the upcoming saké making season. Boss Panda tried to reassure the little doll who was particularly jumpy at this time of year, when the nights began to draw in and supernatural beings were more active. “Let’s go and sit in the garden and I’ll explain”. So the three when out into the garden of the Bamboo Bathhouse, now beginning to show the colours of autumn, and sat together on the engawa to talk. “A kappa is a kind of water spirit,” explained the bear gently. The name literally means ‘river child’. There are different types, and it is true that for many years stories about them have been used to warn human children of the dangers of playing near water. Once a child has heard about being pulled into the water and devoured by a hungry ogre, you can be sure that they are more careful when playing next to rivers and ponds! Which is of course exactly what the parents want. There are of course mischievous kappa too, and tales of terrible deeds (as with most Yokai), so I can see why you might be frightened. But most kappa are extremely polite with a strong sense of decorum, and for that reason, once a politeness has been shown to them they are loyal and hard working. Toji Tanuki once helped save these particular kappa from being killed when their pond was drained to make way for new buildings. As water spirits they have a strong connection to water and a knowledge of its properties, which as one of the most important ingredients of saké make them invaluable as kurabito”. 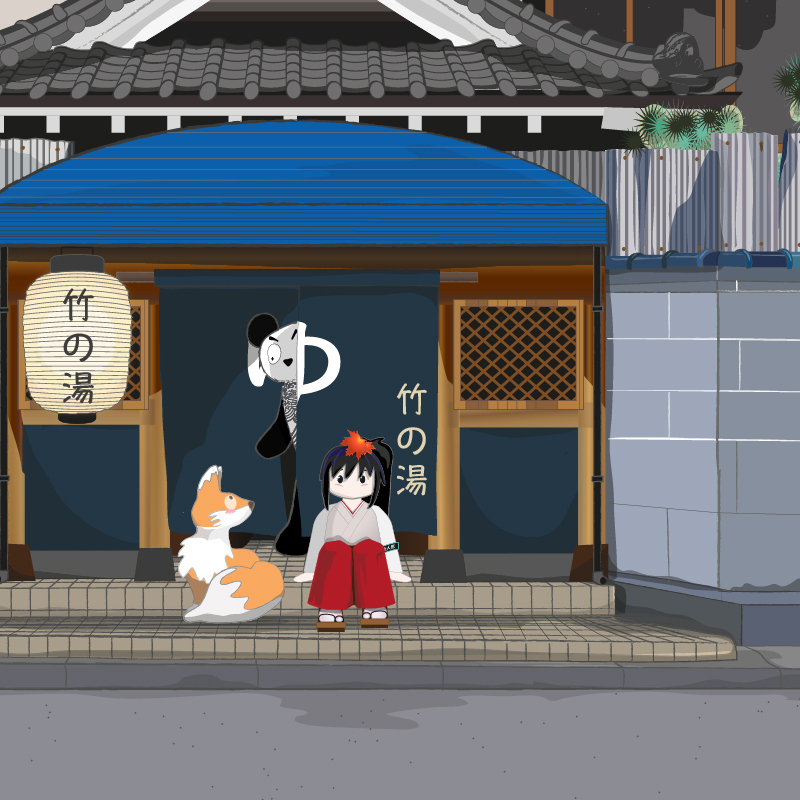 The little shrine maiden doll looked at Boss Panda with wide eyes. “But the book also said they eat human flesh!” Boss Panda put his arm gently around her. 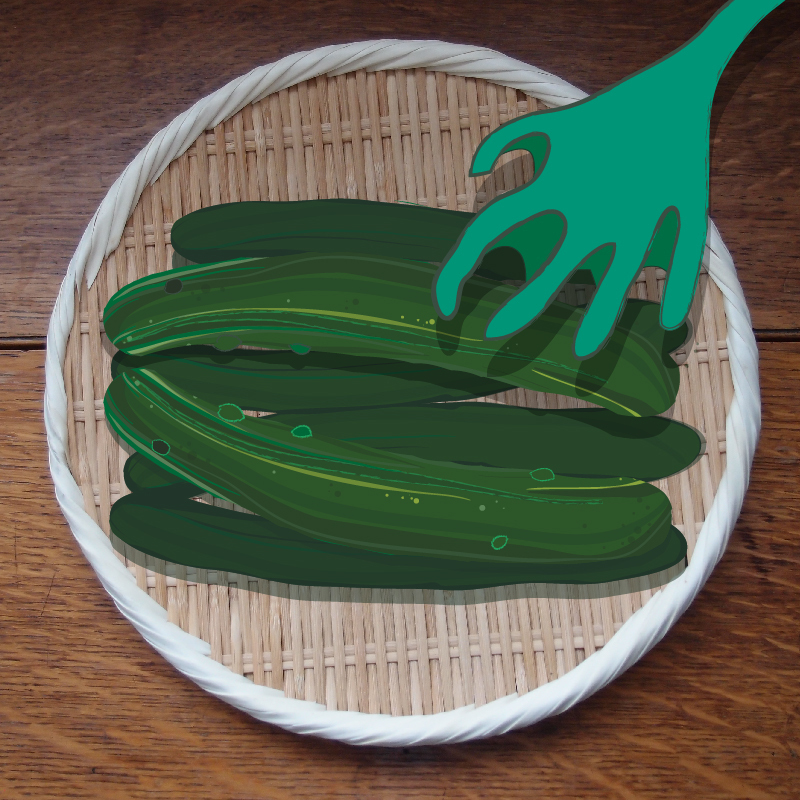 “Maybe one did once, and you will find warning signs in Japan next to rivers to remind people to be watchful for kappa – but in truth, they much prefer to eat cucumbers. “Well that doesn’t sound very terrifying” agreed Miko-chan. Boss Panda continued. “I suppose you may find them a little odd to look at – they stand on two legs but have webbed hands and feet, and skin which can be slimy or scaled. They also have beaks, and a shell on their backs a little like a turtles. The most significant part of their appearance is the dish shaped indentation on their heads, called a sara – this must always be filled with water, for if it spills they lose their power and can die. If you were ever to meet one in the wild and feel threatened, make sure to politely bow – they will feel obliged to reciprocate and the water will spill out as they do so. They then have to stand bowed until the bowl is filled again, and if you refill it, they would have to be nice to you after that. So you see they are quite simple to deal with”. Miko-chan still looked a little unsure, but finally agreed that she would go to the brewery and meet the workers for herself. 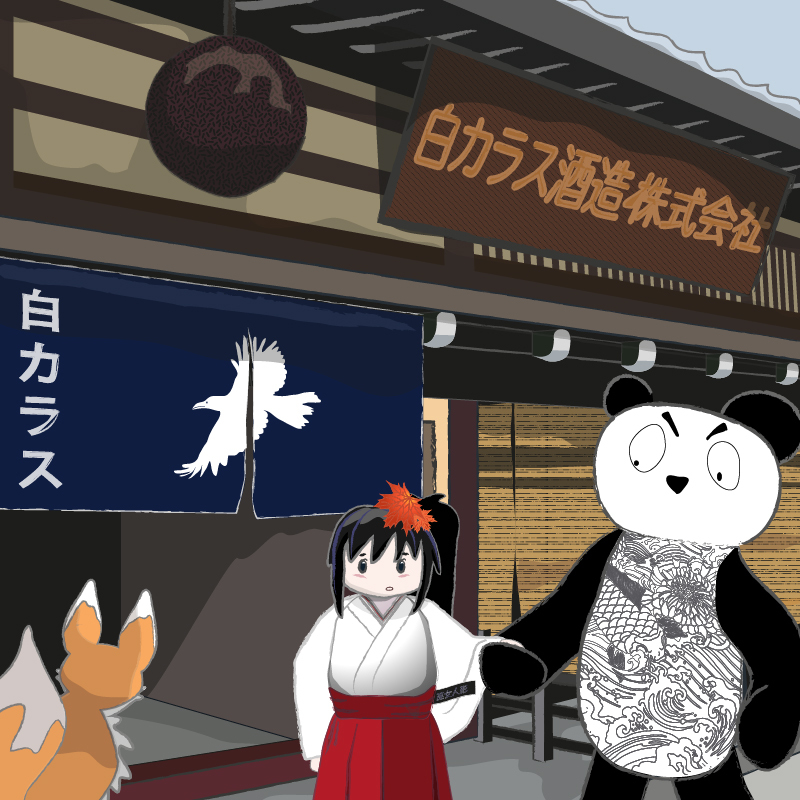 On arriving at the brewery, Boss Panda explained to Toji Tanuki that Miko and Kiku had never met a kappa before and were a little nervous. The old raccoon dog who worked as the head brewer was Boss Panda’s oldest friend. He smiled and said, “There’s nothing to be frightened of – the kappa here are brothers, and help me produce some of the best saké in town! 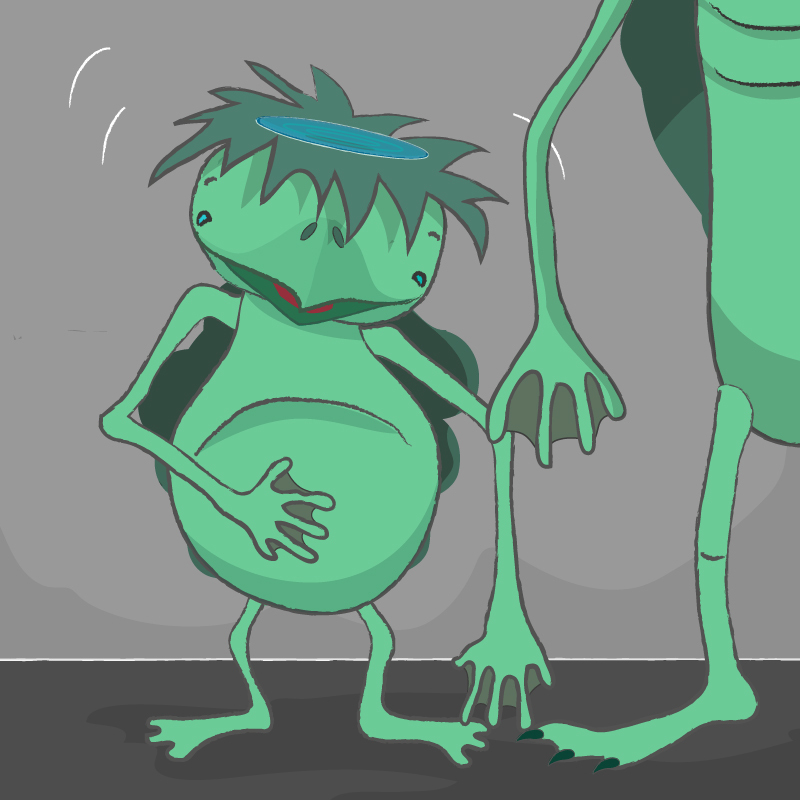 Let me introduce you – Kappa-san!” he called down the corridor, and the sound of a sliding door could be heard. 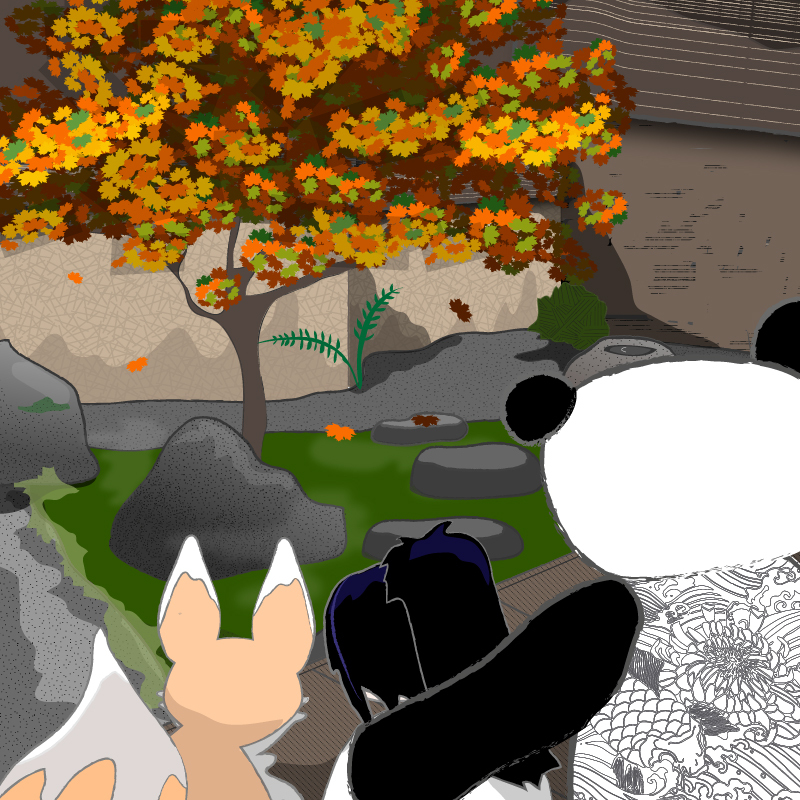 Miko-chan edged a little closer to Boss Panda, who put his arm around her for reassurance. Into the light came three green figures – one tall, one medium and one small one – who looked a little nervous himself. Toji Tanuki introduced them as Oh-Kappa [大カッパ], who was quite tall and had a little frog who lived in the bowl on his head, called Pon-chan. 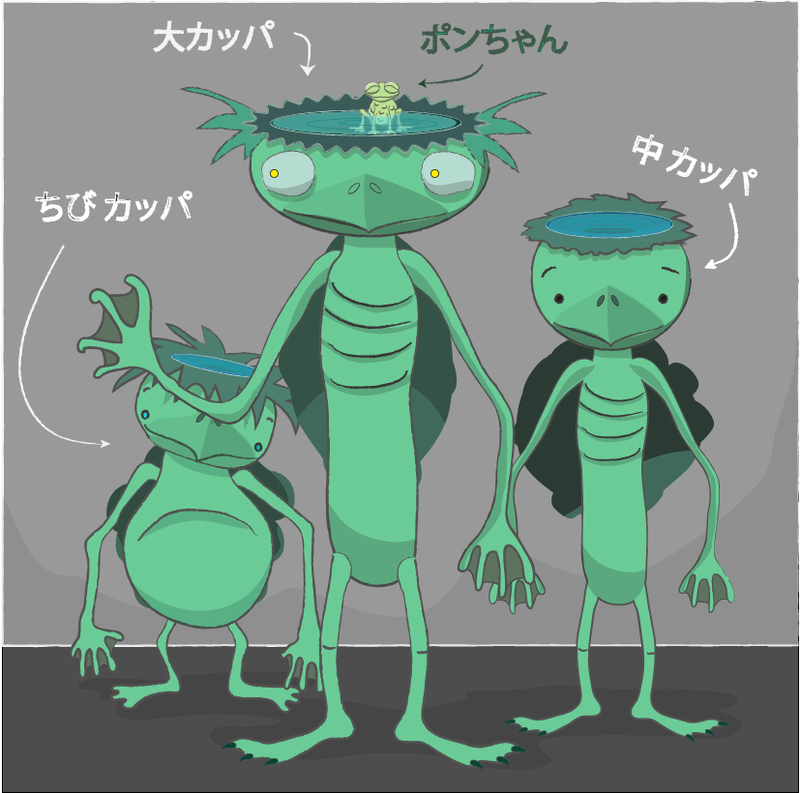 Chuu-Kappa [中 カッパ] was the middle sized one, and the little one was introduced as Chibi-kappa [ちび カッパ]. Each made a small bow as they were named, careful not to spill the water in the dishes on their heads, which Miko and Kiku could see sloshing around. Once the introductions were over, Boss Panda began to ask them questions about how preparations were going, with such a busy time ahead. Chibi-kappa peered with interest at Miko-chan, as he had never met a shrine maiden before. She began to realise that they weren’t scary after all, and they all sounded very knowledgeable when discussing preparing the rice for the saké making – even the little one who said something to the big bear about ‘koji’ (Miko did not know what that was). She tentatively gave a little wave at Chibi-Kappa, who began to beam a big smile. When the work discussion had finished, Boss Panda turned to Miko-chan. “Didn’t Mama Kojin bring you something to give?” he winked at her. She remembered then that the old green lady had given her a wooden bento box to bring as a lunch offering to everyone at the brewery. 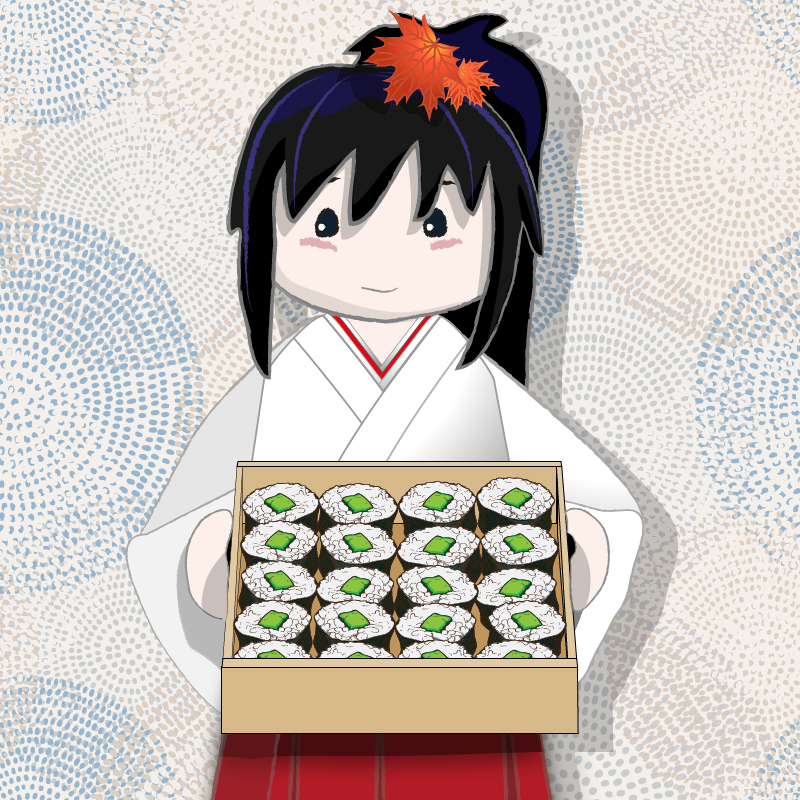 She held it out to the largest kappa, who took off the lid of the box and all three looked delighted at the contents – a large selection of kappamaki sushi! Kappamaki [かっぱ巻き] are cucumber filled sushi rolls, named for the kappa’s fondness for the green vegetable – be sure to order some next time you are out for sushi! Yokai [妖怪] are the spirits and demons found in Japanese folklore and take many different forms. They can be anything from malevolent to tricksters or fortune bringers. There is a Japanese proverb: ‘kappa no kawa nagare’ [河童の川流れ], which translates as ‘a kappa drowning in a river’ – meaning even experts make mistakes, as kappa are excellent swimmers. This was so exciting and fascinating! Your illustrations are amazing, and your stories always so warm, but with a teeny bit of an edge. I always learn new things and fall in love with the characters. I hope one day they are published in hardcover.